Another Reason River Vale NJ Is A Great Place to Call Home! Looking for the perfect combination of small town charm & big city proximity? Look no further! 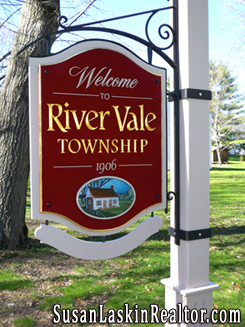 River Vale, New Jersey, located only 40 minutes from downtown New York City, continues to offer its residents community events & gatherings throughout the year! This month the township is hosting its second annual National Night Out Community Gathering! Bring your family & a picnic dinner and River Vale will provide refreshments, entertainment, music, fireworks & more! For more information on River Vale and this event, visit the town website. Thinking of Buying or Selling River Vale NJ Real Estate? Contact me, Susan Laskin, Your River Vale NJ Realtor at 201-615-5353. Or visit my website, SusanLaskinRealtor.com! Stay up to date on the local real estate market! Read my River Vale NJ Real Estate blogs! Community News, Listings, Market Reports & more! Remarkable River Vale Ranch! - Expanded, Renovated & Gracious 4 Bedroom Custom Built Ranch! Another Home Sold by Susan Laskin! - Your Pascack Valley Realtor!